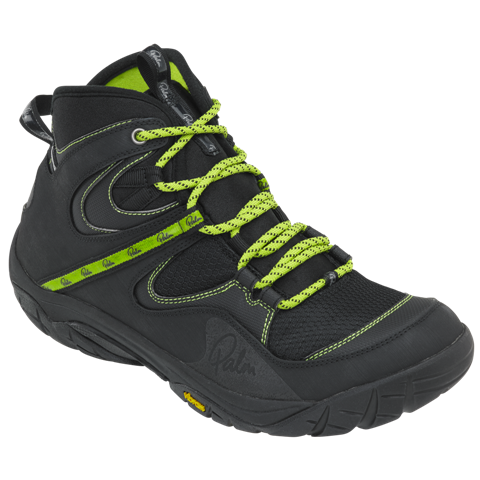 The Palm Gradient boot has evolved over several versions into a comfortable, supportive and durable paddling boot. Since the success of the Gradient Mk 1, it’s been refined and improved, with a new super sticky Vibram sole, tough rubber reinforced upper, and a wider foot shape for comfort with or without drysuit socks. The ultimate in durability, support and confidence inspiring grip. 3mm CR Neoprene, Layered mesh and scratched rubber.